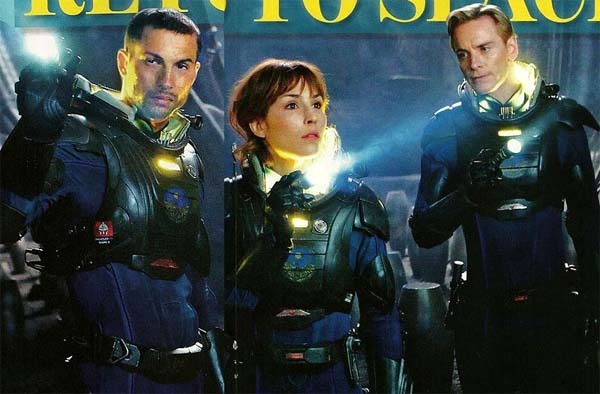 First pics: Ridley Scott’s Prometheus. Entertainment Weekly magazine has the first pics from Ridley Scott’s movie, ‘Prometheus’… still something to do with the Alien mythos, prequel is it? It’s flip-flopped so much on Rumour Avenue it’s hard for me to think straight as far as this film is concerned. Should be one worth watching though. Hey, isn’t that Stringer Bell from The Wire in the pilot seat? Well, Idris Elba’s presence is enough to raise up any project a few notches for me! « Author Anne McCaffrey dies.